True power and impeccable class combine in the new Mercedes-Benz SL Roadster, an iconic luxury 2-seat convertible with six decades of automotive excellence behind it. It boasts incredible power, with the SL 65 offering a 621-hp V12 engine, but that power is finessed by a 9G-TRONIC® automatic transmission and nimble handling courtesy of Active Body Control®. And its iconic design is enhanced by perfectly proportioned retractable hardtop. Take a look at the models we have in stock below! 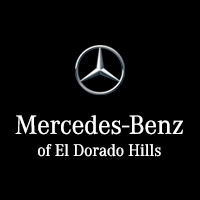 If you want to feel the thrill of the new Mercedes-Benz SL Roadster for yourself, schedule a test drive at Mercedes-Benz of El Dorado Hills. Our friendly sales staff and flexible financing make buying a new vehicle a breeze. Pay us a visit today!